May 9th (Mon), 2016 is a day closed. Setting aside conventional tools like ‘paintbrushes’ for creating artistic works, Shimamoto ventured into demonstrating new potentials for art, in which the action to destruct the canvas itself can convey more than what an artist intended. As he discovered new significance in this direct approach, Shimamoto then sought for expressions that reflected strong contingencies. 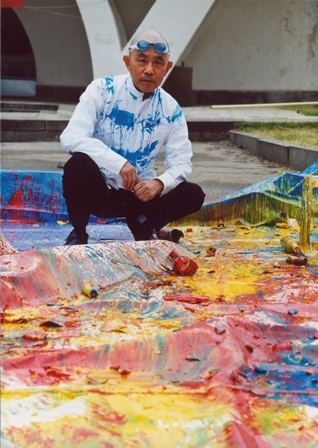 The search lead him to Bottle Crash performances, in which Shimamoto hurled bottles of paint against a canvas to make them explode on the surface, letting the fragments of the bottles and the splattered paint on the surface constitute a tableau painting. 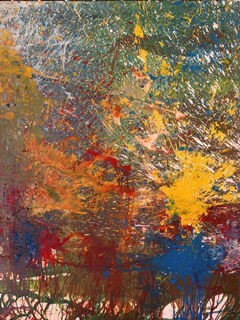 The tableau paintings are no longer by-products resulting from actions, but they exert graphicness and uniqueness of their existence. 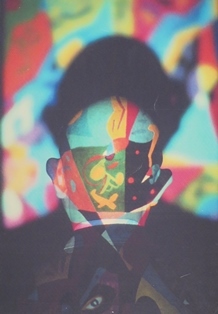 He also created numerous art works with unique ideas; his Nyotaku series using a living female as his tool, and his Shaved Head Art series using his shaved head as canvas to carry massages and pictures. His artistic career, during which he kept on creating work after work that surpassed the boundaries of himself and others, is nothing but the embodiment of his Gutai spirit “Do something no one has done before”. By showing his life as the artist with the conviction that “Art is to astonish people”, both with his works and recordings of his actions (visual materials) in this exhibition, we hope to offer you an opportunity to take a glimpse of the essence of art.